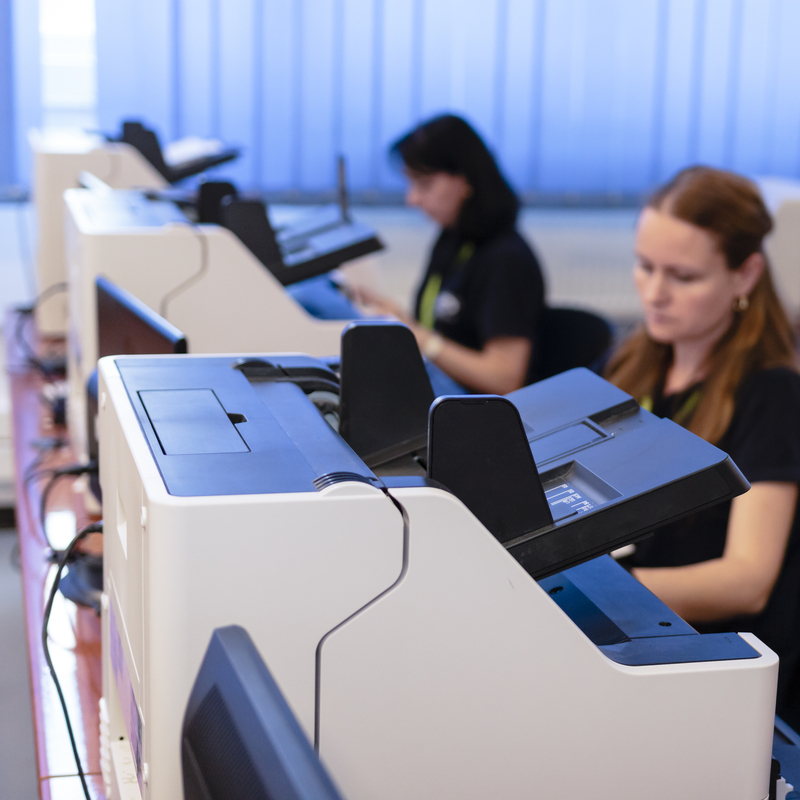 Stefadina Comserv in Romania, has recently worked alongside Omicron Service and Panasonic, to offer a complete and efficient scanning service. To be able to scan a high volume of pages for all types of documents, including books, registers and A0 plans. The introduction of Panasonic’s KV-S8147, A3 high volume document scanner, for improved reliability and efficiency. Stefadina Comserv is a Romanian company that has been active in the market of archiving and document management services since 1996. Working in conjunction with Omicron Service - a company authorised by Panasonic to perform maintenance and repair work, as well as distribute business-class equipment, Stefadina Comserv has been able to develop their scanning services whilst improving the business’ overall efficiency. The services offered by Stefadina have been under constant development in recent years.They started off using services for organising their physical document archive. Through a natural evolution driven by the need to access information as quickly as possible, the electronic archiving services were developed, implementing the best scanning, indexing and image processing solutions. Stefadina first came into contact with Panasonic scanners in 2008. At the time, they were looking for a solution that delivered maximum performance: scanning speed, automatic image processing, integrated software, size and an optimised total cost of ownership including optimal maintenance costs. The start of 2016 saw Panasonic visit Omicron Service to showcase its new range of high-speed scanners, displaying both their technical and performance improvements, as well as giving them the opportunity to learn about any commercial information regarding the new features. The ability to archive solutions to meet the needs of every client is just one of the features available on this new range of scanner. On this occasion, knowing the activity carried by Stefadina, and nothing that one of the described models could successfully support the volume and type of documents archived by them, Omicron recommended and introduced the KV-S8147 model. A demo scanner was provided to determine how the machine operated in production mode. Following the continuous usage of this unit, the engineers from Panasonic made firmware improvements, optimising the way the scanner operated, resulting in positive feedback from Stefadina and the purchase of Europe’s first KV-S8147. The operators at the Stefadina electronic archiving company, digitise up to 200,000 A4 and A3 pages daily. The equipment fleet includes scanners for all types of documents: both typical and atypical (books, registers), as well as A0 plans. For standard documents, only Panasonic scanners are used. Digitisation projects were initiated with the KV-S1045 (A4) series, a solution for lower volume. However, in time, Stefadina moved on and received larger projects, increasing the number of A4 devices, whilst A3 scanners completed the logistics for volume digitisation. Today, the company is using several generations of Panasonic scanners for its typical A4/A3 documents. Due to their high quality and low technical guidance, Panasonic is providing the freedom to work as flexibly as possible - allowing Stefadina to concentrate on what it does best: Digitising content. 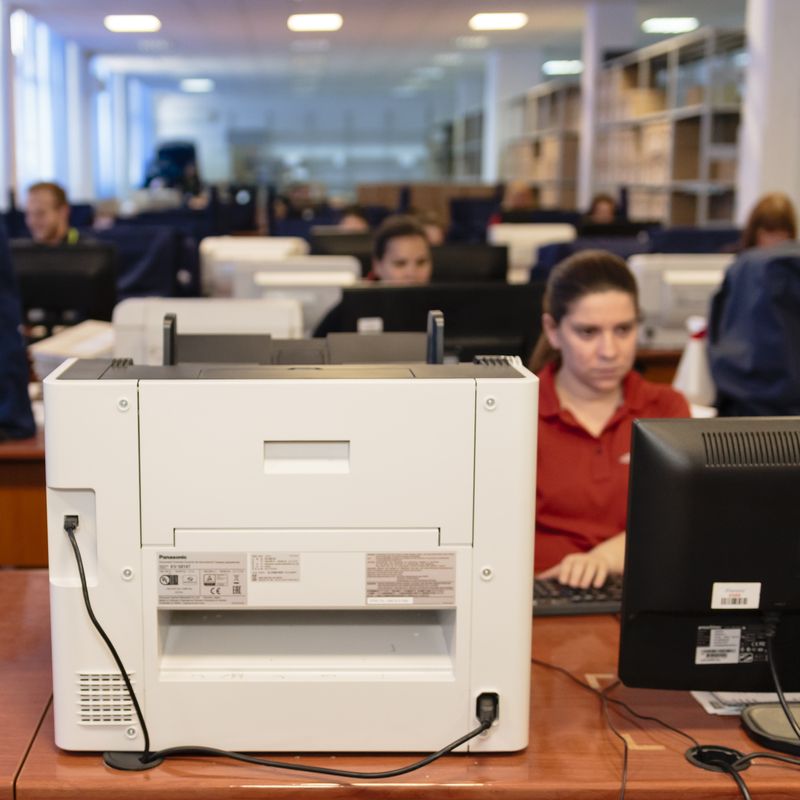 Since the scanners were purchased, they have each operated at maximum capacity in the electronic archiving workshop. This inevitably led to some technical problems. However, they were solved quickly by the service team, assisted by the supplier's technical support team. The easy accessibility of the maintenance parts, also provided a speedy replacement service, for example when replacing the scanner rolls. The integrated image processing solution (Image Capture Plus) deserves an honourable mention, as it offers advanced processing options, including process automation, e.g. separating documents by bar codes, the exporting of images to text (OCR), automatic indexing by scanning and retrieving information from predefined areas. These advanced options also include automatic image processing (auto-colour, background removal, automatic page turning, geometry correction and automatic removal of blank sheets). Through Stefadina, Romania became the first European country to acquire the KV-S8147 model, resulting in the potential expansion of the KV-S8147 scanner range. As a result, Omicron Service has created a bridge between Stefadina's needs and the complete archiving solution offered by Panasonic, creating a win-win success story.